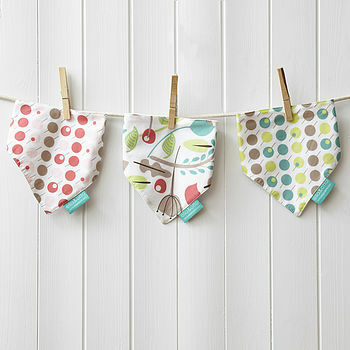 This cute girls dribble bandana bib is designed to look like a fashionable accessory to its day outfit. 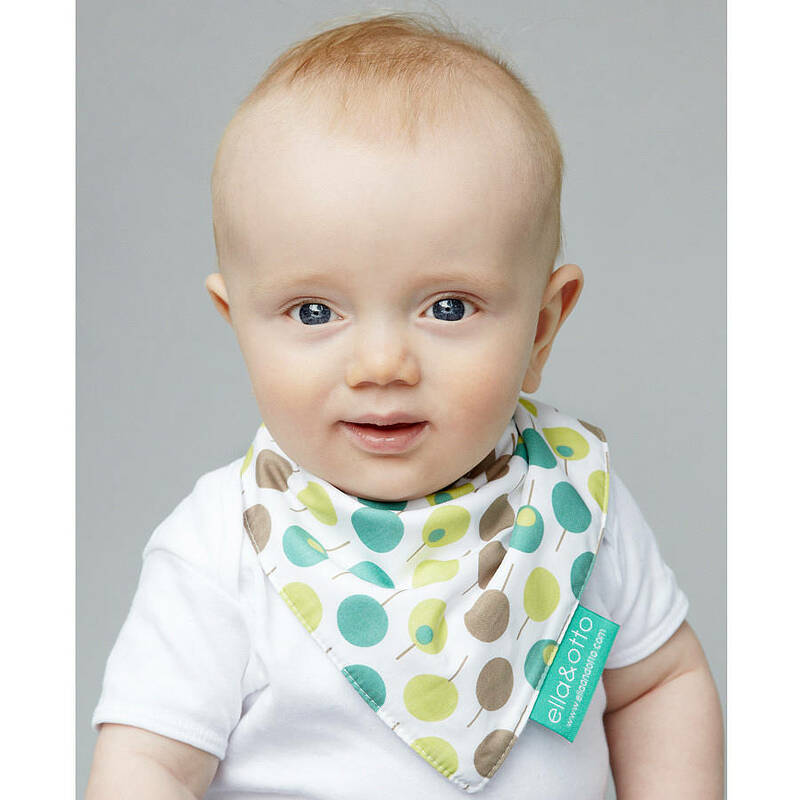 It's smart enough to be worn all day, co-ordinating with baby's outfit, making it ideal for teething babies and little dribblers. 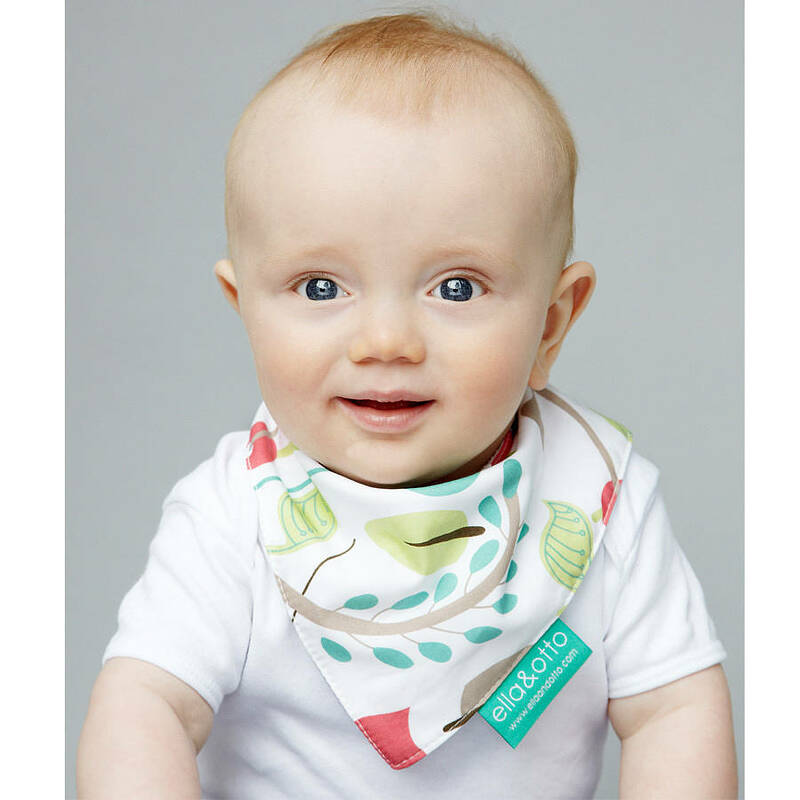 The dribble bib with its fleece backing is highly absorbent, suitable from birth but generous in size to be worn even for toddlers. They are made of 100% cotton and backed with 100% fleece fabric. There are two press buttons for flexible and easy fastening. The dribble bib comes in three different prints: Garden, Green Lollipops and Pink Lollipops. Front 100% soft cotton, backing 100% polyester fleece.